Call me a whimp. call me soft. call me a snow snob. call me whatever you like. but after a day in the rain in january in the county I knew I had to find a way home. Lucky for me I know a man who flies planes and a team mate who was kind enough to drive my tush 3 hours down state at 3 in the morning. I was the last on the list but I made all my flights and arrived back in the Midwest that afternoon. By the time I made it Hayward I had been traveling for 12 hours and was sleep deprived and on the verge of a breakdown, but I was home. I brought all of my belongings into the house, washed them, and packed them back up. I was home for a less than 24 hours and I was on the road again. Off to Grand Rapids, the land of snow and cold sunny days. Never have I ever wanted to be in Grand Rapids more. Its cold, I skied in my down jacket for all four hours yesterday…but I suppose I can’t win them all right. I asked for snow and a range….I suppose being out of the single digits would be asking too much. I’m here in Grand Rapids until the end of the week. Then a quick trip home. A girls day in the cities (with the possible addition of a younger brother, oh you silly brother you) and then I’m off to Europe. I can’t help but get more excited! Ok pictures, I promise pictures. hold me too it! 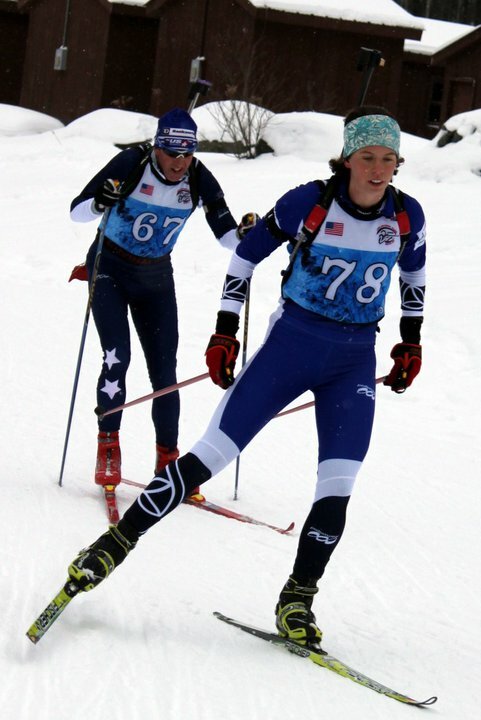 Here’s one from junior trials (taken by Maddi Mayo)…apparently I ski with my eyes closed?